The first Innovation D&B get away of 2018 takes place in Amsterdam on 23rd & 24th March at the Melkweg & the incredible looking Westerunie venue, a club that Innovation haven’t used before. The line up has just been released for the Innovation Dam Spring Break 2017 event and of course it looks like it going to be a banger! Tickets have already been selling well since our return from the Inno In The Dam weekender. After the success of the 1st Dam Spring Break last year, Innovation are heading back out to Holland this spring to do it all again. 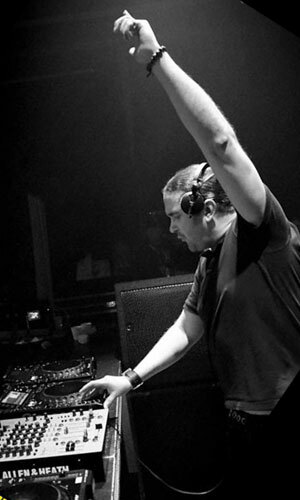 Catch me playing in Amsterdam again this March with an all star line up, across 2 nights at the Melkweg & AIR clubs. Back in April, a couple of days before I flew out to Amsterdam, I did my first show up on the award winning Rough Tempo Radio along with Modified Motion, Cotesy, Phantom, Stormin, Harry Shorry, Co’d & Firefly for the official ‘Innovation Spring Break Warm Up Show’. I just noticed this set had popped up on YouTube so thought I’d share it with you. 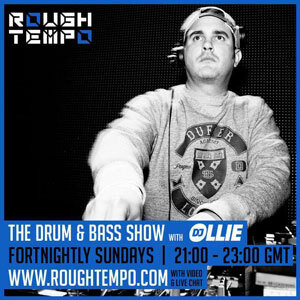 Remember you can catch me every fortnight doing my own show on Rough Tempo on Sundays 9-11pm GMT. As a little teaser to promote the release of the Dam Spring Break CD packs & MP3’s the good folks at Innovation have released this video from the event. This set, recorded live at AIR club in Amsterdam, was the final set from a great weekend featuring me b2b Cotesy hosted by MC Stormin. Despite being the final hour of a long weekend the vibes & energy from the crowd were amazing right until the lights came on. High quality recordings of both nights are now available from our website on both CD & MP3 formats. Visit http://www.innovation.gb.com to purchase yours. Innovation will be back in Amsterdam for Innovation In The Dam on 21st, 2nd & 23rd November 2014. Its been a mad few weeks so it’s about time I updated this site with everything I’ve been up to. First & foremost was another adventure out to Amsterdam with Innovation for the debut Spring Break Weekender event. Both nights were absolutely firing, Friday night in the Melkweg, then Saturday night at a new venue AIR. I played the the final set of the weekend at AIR alongside Cotesy & MC Stormin which was crazy… Big up to everyone that reached Amsterdam and raved hard right until the lights came on. I also did the Innovation Podcast live at the Bulldog. I shall post details of that up shortly. I’ll be back in Amsterdam for another Innovation weekender in November.